To no surprise, the vast majority of disc golfers throw right handed which helps to explain why disc manufacturers don’t focus on left handed discs (that’s a joke). 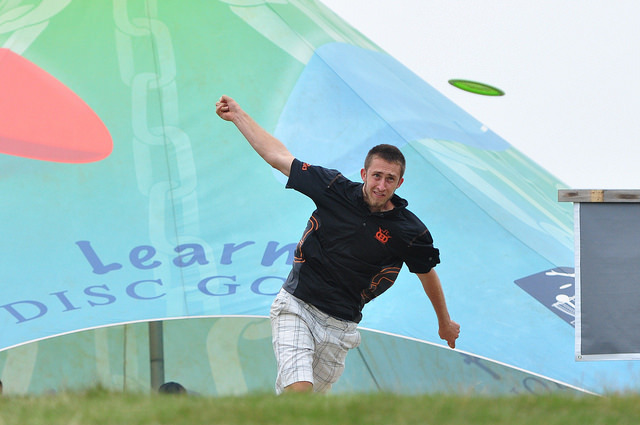 90.7% of disc golfers surveyed throw with their right hands, 7.1% with their left, and just 2.3% of disc golfers have the coveted advantage of being able to throw with both hands. 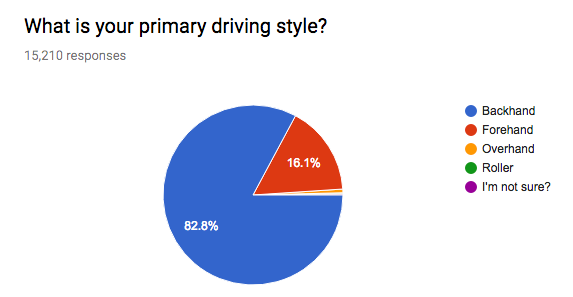 The vast majority of disc golfers surveyed prefer the traditional backhand drive. What surprised me was how big the disparity was. 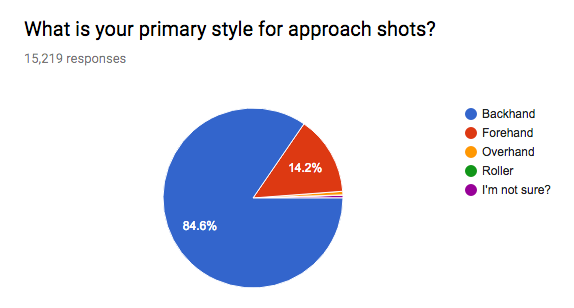 Nearly 83% said that they primarily drive backhand while only 16% use the “forehand,” “sidearm,” or “flick” as the preferred option. And that guy that throws thumbers all the time is the rare exception as only .7% of disc golfers throw overhand as their primary driving style. When it comes to approach shots, the percentages are very similar to drives with slightly more disc golfers choosing the backhand from short range. 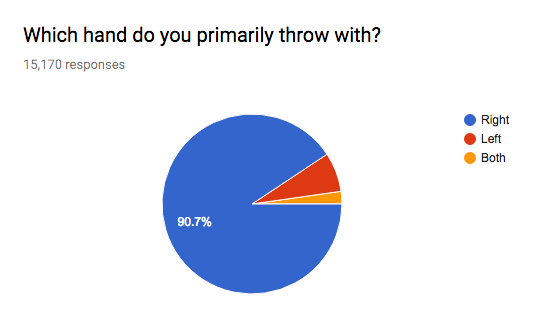 Almost 85% of disc golfers surveyed will choose a backhand throw for a wide open approach shot.